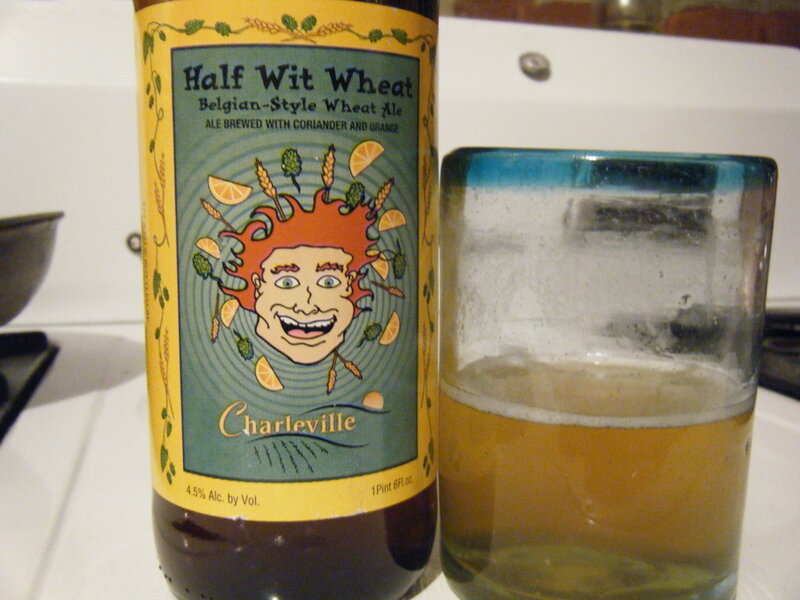 Monday, April 6, at 7:00 p.m., Local Harvest Cafe and Catering is hosting a beer tasting featuring Charleville beers. You will sample four beers accompanied by four small plates (four small plates bearing delicious food pairings.) Cost is $20. Sign up at cafe or store. 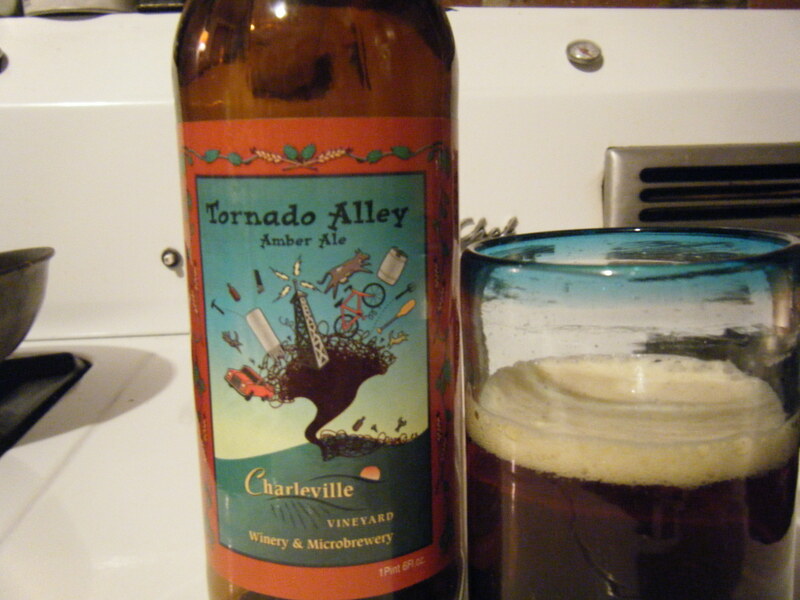 See website below for information about the microbeers from Charleville Winery. Beer and Wine! Wine and Beer! over at the grocery – we have expanded our beer and wine selection, adding another rack for wine and another cooler for beer. our new acquistions include selections from He’Brew, Boulevard, Left Hand Brewery, and Fort Collins Brewery, and our new wine rack is stocked with imported, domestic, and even local bottles of wine (Chamborchin from Claverach Vineyards in Eureka, Missouri) priced from $5 to $16. things like Schlafly, O’Fallon, New Grist gluten free, Arcadia Nut Brown, and Guiness – as well as Cruz de Piedra Granacha, Penescal Tempranillo, Hess Artezin Zinfandel, and Vinecol Organic Chardonnay. come in for a pint of beer with your lasagna or a glass of wine with you anitpasto plate. starting friday, we are open till 9pm nightly (except sunday and monday). Serving Beer and Wine at the Cafe!!! tonight is your first night to savor our delicious local beers, domestic and imported wines. stop by, have dinner, have a drink – we are ope till eight. this weekend marked the true beginning of the season for us at Local Harvest. yesterday, we saw wonderful participation in this year’s cranksgiving. thanks to everyone that loaded up their bags and rode for charity. we have stocked our new prepared foods cooler with ready-to-bake stuffing, cranberry sauce, and soups. we finally got in our beautiful, fresh, free range turkeys yesterday…so if you ordered one – we have it ready for you. we got in Joy Stinger’s lovely beeswax candles for a clean burning light at your Thanksgiving dinner, or decorative squash to liven up the table. we have everything you need to make your holiday pies, including pie crust (even whole wheat), pie filling, spices, and cream for whipping. Heartland has dropped off their delicious eggnog, and we have marshmallows and organic sweet potatoes. remember, it’s best when you do it local. in preparation for our spanking new liquor license – we decided to try some beer. 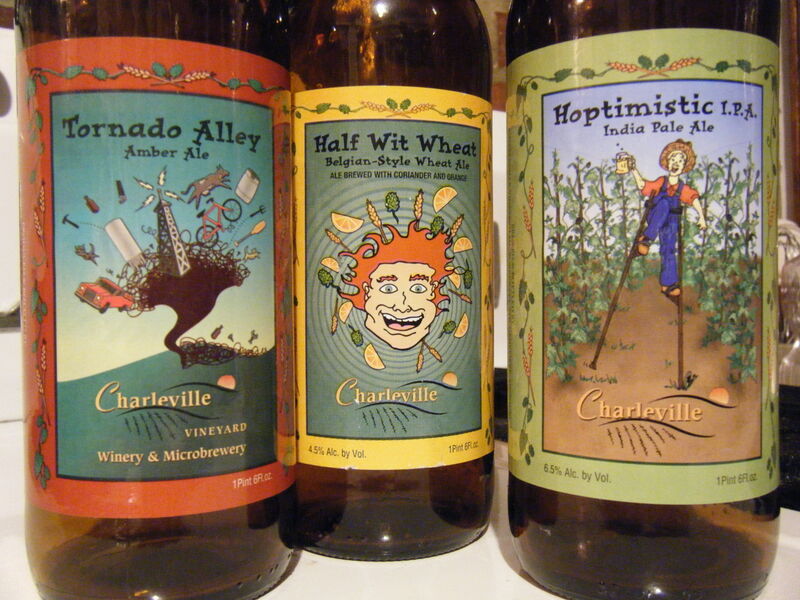 first out of the cooler were three brews from Charleville Vineyards in Ste. Genevieve. Maddie thought this one was dandy. there is no picture – we drank the whole bottle before i thought to bring out the camera. that is how good it is. it didn’t hurt that anne and i love i.p.a. to begin with, but…. this one is delicious, on the hoppy side but bursting with flavor and it has a nice clean finish. i’m enthusiasic about this beer – actually i am enthusiastic about all these beers. just hold your breath a little longer and you will be able to buy these right out of our cooler.